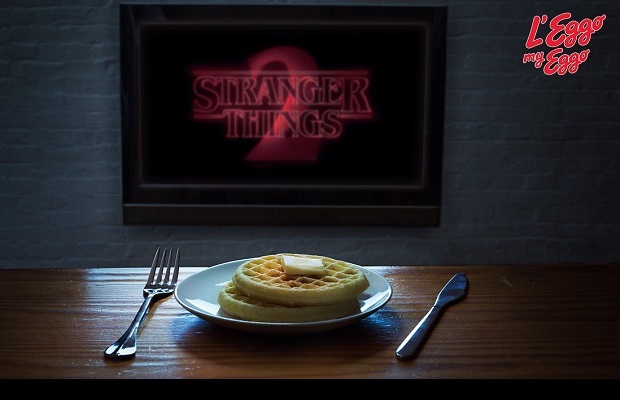 Entries from Digital Intelligence tagged with "kelloggs"
Kellogg’s waffle brand Eggo’s is running a promotion tied in with the launch of hit Netflix show Stranger Things 2, which features the brand. A number of FMCG giants including Kraft, Kellogg and Mondelez International are cutting operational costs amid weak consumer spending- putting new investments in digital instead, according to a new report. CMW has been appointed to create the social media and broader digital strategy for the launch of new Kellogg’s brand, Krave. The Krave brand marks two new directions for Kellogg’s. Firstly, it’s the first time the company has created a cereal exclusively aimed specifically at the youth market (16-25 year olds) and secondly, it’s the first time that Kellogg’s has embarked on a heavyweight social media campaign to support a brand in the UK. Details of the social media strategy are yet to be revealed however it’s expected to build upon the above-the-line brand idea that has been developed by Leo Burnett. It's a stepchange for the brand, writes printweek.com. Every brand is wrestling with the role of the web in their media mix, but the announcement of breakfast cereals giant Kellogg's that TV is being dropped for their next launch in favour of print and online is a massive psychological step in FMCG brand strategy.